Over the past few weeks, I've reacquainted myself with Topshop's mousse eyeshadows in Glint and Tundra. 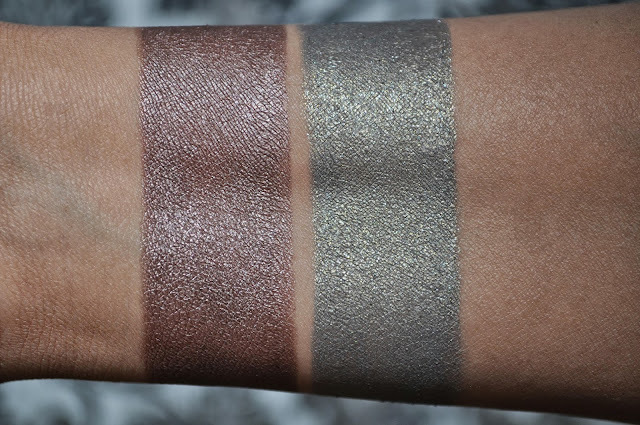 These Limited edition releases, from the 2011 Sandstorm Collection, were some of my first introductions to the brand's beauty line, and I was impressed! From left to right: Glint, Tundra. Glint: a warm, taupey, purplish-brown with a tinge of bronze. Tundra: a tarnished, mossy-olive green with gold shimmers. I forgot how pretty these shadows are, either worn alone, layered over one another or as a base. 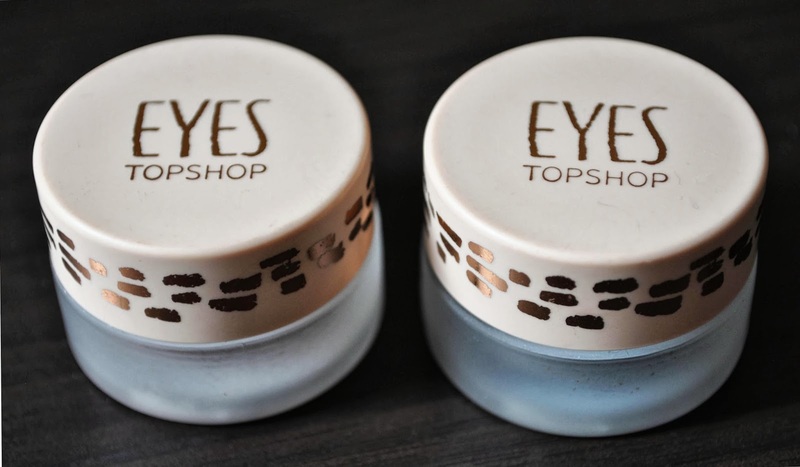 The give a lovely wash of color to the lids, don't crease and stay on all day, bravo Topshop. Do you own any of these mousse eyeshadows? If so, how do you wear them? oh i like both colors!! what a shame they were limited releases!!! I know! Why do all the pretty shades be limited edition or discontinued!